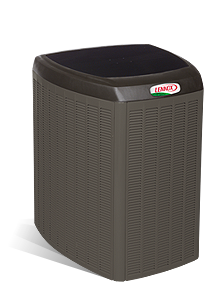 The most precise and efficient heat pump you can buy The XP25 uses revolutionary Precise Comfort™ technology to maintain an ideal temperature and perfect humidity under any conditions, all while saving you hundreds of dollars in energy costs. It's simply the most advanced, most capable heat pump ever created. 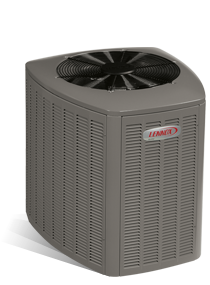 Efficiency rating of up to 23.50 SEER / 10.20 HSPF can save you hundreds of dollars each year*, compared to a standard heat pump. Precise Comfort™ technology adjusts fan speed, heat and airflow capacity in increments as small as 1% for the ultimate in temperature control. Variable–capacity, inverter controlled operation works much like the cruise control system of high performance automobiles, automatically making adjustments as necessary. In the XP25, cooling capacity automatically adjusts up or down, based upon cooling demand, to use only the precise amount of energy needed to maintain temperature within 0.5 degrees of your thermostat setpoint. SunSource® Solar-Ready option allows you to add solar modules and create a solar powered systemthat generates electricity for your heat pump and more. This product has been designated as one of the Most Efficient ENERGY STAR qualified products in 2013. Products that are recognized as the Most Efficient of ENERGY STAR in 2013 prevent greenhouse gas emissions by meeting rigorous energy efficiency performance levels set by the U.S. Environmental Protection Agency. Efficiency rating of up to 14.50 SEER / 8.70 HSPF can save you hundreds of dollars each year*, compared to a standard heat pump.